Sorry guys running a little late with this edition of the Cutest Puppy Ever. No worries, I’ll get together an article for our ninth and tenth puppies before the end of tonight. 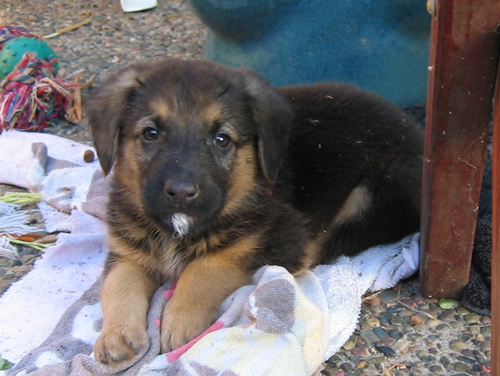 Our ninth puppy is my favorite from puppy out of the seven German Shepherd mix. I told myself if Cocoa was the last puppy to be taken out of the litter I would keep her myself. That probably would have altered my entire puppy raising life. I probably would not have raised Stetson or Derby and I would have probably never had the chance to volunteer with Guide Dogs of America. 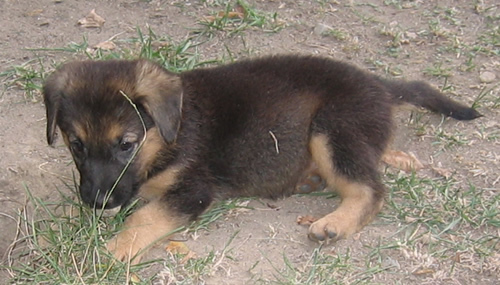 However, Cocoa was adopted very early and I decided not to adopt any of the German Shepherd puppies. 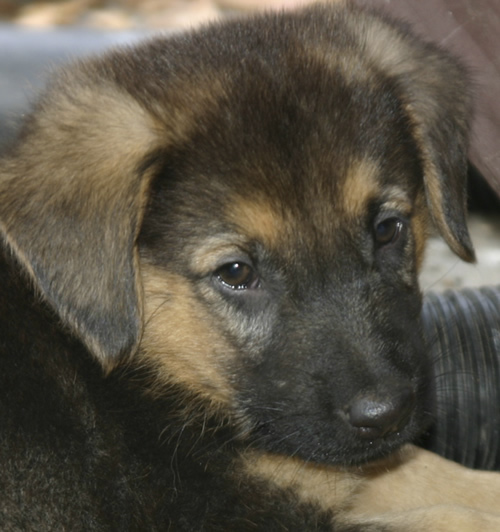 Cocoa was an adorable black and tan German Shepherd mix puppy with a personality to match. Out of all the puppies I thought she was the most relaxed and even tempered. She had a lot more tan coloring around her ears then George, Sally, or Buttercup. The one thing I remember vividly about her was when she stole a large tomato from my sisters tomato garden. She had the little round orb in her mouth and ran around the yard while the other six puppies chased after her wanting her little treasure. Click here to vote Cocoa the Cutest Puppy Ever! I love German Shepherds, they are true companions and playful. Wow…he’s a super cool, lovely puppy, love him. so cute he looks, My vote for Cocoa.